Creszenz Hoetzl was born in Buch bei Neuburg an der Donau on 15 January 1914. She entered the Congregation as a Postulant at St Immaculata Convent in Schlehdorf in August 1930 and made her profession on 28 June 1933. In 1934 she came to the Motherhouse in King William’s Town and in 1938 began teaching at the Convent School in Queenstown. Frances Dina Vuwani was born in Mutuntloni Engeabo Transkei on 21 December 1918. She was received into the Congregation at Maria Hilf Convent, Woodlands, in January 1949 and made her profession on 29 January 1950. Theresia Huber was born in Maging Post Osterhofen Niederbayern Bavaria on 8 May 1908. She entered the Congregation as a Candidate at St Immaculata Convent in Schlehdorf in 1927 and made her profession on 6 August 1929. In the same year she came to the Motherhouse in King William’s Town to begin her teaching life in the Congregation. Emma Deinzer was born in Nuernberg Bavaria on 19 April 1915. She was received into the Congregation as a Postulant in January 1937 and made her profession on 2 July 1939. She came to South Africa in 1938 where she taught for many years in the various Convent Schools. Brigid Joyce was born in Galway Eire on 12 July 1910. She came to the Motherhouse in 1939 and entered the Congregation as a Candidate in September 1943, making her profession on 25 August 1945. In 1946 she returned to Ireland to teach at St Patrick’s School. She returned to South Africa for a few years to teach at the Convent Schools in Potchefstroom and Brakpan. In 1967 she returned to Ireland where she remained until her death. Genevefa Pentenrieder was born in Wielenbach Weilheim Oberbayern Bavaria on 19 June 1908. She entered the Congregation as a Candidate at St Immaculata Convent in Schlehdorf in 1928 and made her Profession on 5 January 1931. She came to South Africa in 1932 where she worked at a number of the Convents, sewing, mending and caring for Vestments among other responsibilities. Genowefa Kaczmarczykowna was born in Sienkiewicze Krawieckie Poland on 28 June 1928. 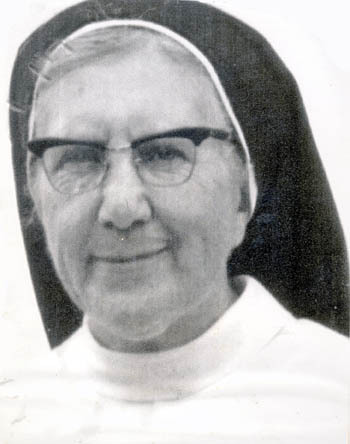 She entered the Congregation as a Candidate at the Motherhouse in 1947 and made her Profession on 17 July 1949. Maria Kurre was born in Bueschel bei Bakum Oldenburg on 7 December 1914. She entered the Dominicans at Schwichteler in 1938 and joined the Congregation at St Immaculata Convent in Schlehdorf on 1 October 1949. Barbara Maria Schwab was born in Goetzis Vorarlberg Austria on 16 November 1899. She entered the Congregation as a Candidate at St Immaculata Convent in Schlehdorf in April 1926 and made her Profession on 30 October 1931. In 1933 she came to South Africa where she taught needlework in various Convent Schools. Anna Seidl was born in Vohlburg an der Donau on 4 January 1914. She entered the Congregation as a Postulant in July 1937 and made her Profession on 28 June 1939. She taught music at the various Convent Schools. Mathilde Richtsfeld was born in Munich Bavaria on 25 March 1906. She entered the Congregation as a Postulant in March 1929 and made her Profession on 5 January 1932. 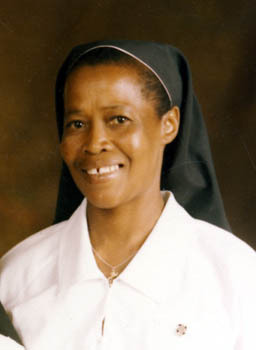 In South Africa she began teaching at the Convent of Our Lady of Mercy in Springs. Florence Twalingca was born in Butterworth, Cape Province on 6 November 1919. She was received into the Congregation at Maria Hilf Convent Noviciate in October 1942 and made her profession on 5 July 1944. Sr Dominica is one of the African Sisters who had benefited from an education at St Thomas Traianing College in Village Main. Margaret Mary Cullinane was born in Cork, Eire on 27 October 1933. She entered the Congregation as a Postulant at St Albert’s Convent, Hinckley in July 1956 and made her profession on 8 August 1958. After a few years in England she returned to Ireland where she remained. Theresia Stallhofer was born in Niederbayern (Asbach bei Arnstorf) on 13 July 1905. She entered the Congregation at St Immaculata Convent, Schlehdorf as a Candidate in April 1922 and made her Profession on 27 October 1926. She began teaching music in South Africa in 1927 at the Convent School in Potgietersrus. She taught also at the schools in Belgravia, Klerksdorp, Potchefstroom, Welkom and Witbank. Anneliese Cronauer was born in Linden Landstuhl Pfalz, Bavaria on 8 August 1912. She entered the Congregation as a Postulant in 1929 and made her Profession on 5 January 1932. In 1932 she began teaching music at the Convent School in Klerksdorp and then taught at the Motherhouse, Potchefstroom and Springs. In 1951 she was sent to England where she continued teaching at St Albert’s Convent in Hinckley. In 1956 she returned to Germany where she taught at St Immaculata Convent School. Anna Graspointner was born in Hinterhoegel Anger Oberbayern on 1 November 1912. She entered the Congregation as a Postulant at St Immacula Convent in February 1932 and made her Profession on 28 June 1934. As a carpenter she worked and taught woodwork at the Convents in Springs, Potchefstroom, Belgravia, Queenstown and Cradock. Genovefa Fuchs was born in Ellwangen Wuerttemberg on 17 August 1910. She joined the Congregation as a Postulant at St Immaculata Convent, Schlehdorf in January 1930 and made her Profession on 5 January 1933. 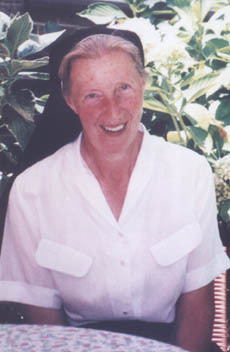 In 1935 she began teaching at the Convent School in Potgietersrus, South Africa. She taught also at the Schools in Belgravia, Nigel, Klerksdorp and Welkom. Magdalena Kley was born in Duerrenstetten bei Muensingen Wuertemberg on 14 September 1904. She entered the Congregation as a Candidate at St Immaculata Convent in Schlehdorf in October 1923 and made her Profession on 27 October 1926. She came to South Africa and was sent to the Convent of the Sacred Heart in Queenstown in 1927. She taught at St Benedict’s Mission in Magoebaskloof and for many years at St Scholastica’s Mission School in Tshitali (Setali). Irene Mabel Hickie was born in Pietermaritzburg South Africa on 17 August 1903. She entered the Congregation as a Postulant in 1944 and made her Profession on 6 August 1945. In 1947 she began nursing at St Catherine’s Nursing Home in Queenstown, then St Michael’s Nursing Home in Peddie, King William’s Town. She also spent a number of years at the Convent in Berejena, Zimbabwe. Susanna Heel was born in Frankenried bei Kaufbeuren Bavaria on 19 February 1905. 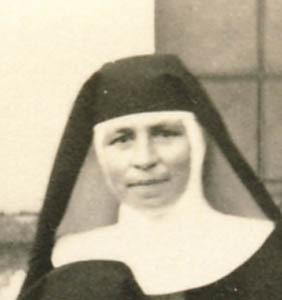 She joined the Congregation at St Immaculata Convent, Schlehdorf in July 1923 and made her Profession on 29 October 1927. In 1928 she came to South Africa and worked at the Convents in King William’s Town, Fort Beaufort, and Izeli where she spent many years. Elisabeth Oswald was born in Lenggries Bavaria on 23 December 1941. She entered the Congregation as a Postulant at St Immaculata Convent in 1958 and made her Profession on 5 August 1961. In 1962 she came to South Africa where she worked in various Convents including the Motherhouse, the Convents in Fort Beaufort, Graaff-Reinet and St Mary’s Maternity Home in Springs, In 1973 she began teaching pottery at the St Vincent School for the Deaf in Melrose, Johannesburg. Maria Altmann was born in Affing bei Augsburg on 20 February 1923. She entered the Congregation as a Candidate at St Immaculata Convent in March 1952 and made her Profession on 3 February 1954. She remained in Germany until her death. Anna Oberhuber was born in Eberting Tacherting Bavaria on 8 February 1903. She entered the Congregation at St Immaculata Convent, Schlehdorf as a Postulant in January 1926 and made her Profession on 29 April 1928. She came to South Africa where she worked at various Convents including those in Belgravia, Springs, Queenstown and Ermelo. Seiparti Constancia Poki Pakose was born in Herschel, Lesotho on 16 September 1927. 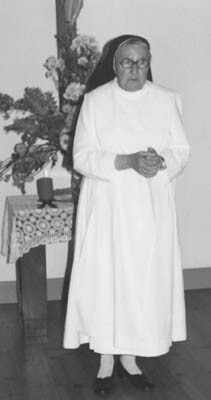 She entered the Congregation as a Postulant at Maria Hilf Convent Novitiate in August 1948 and made her Profession on 30 January 1951. Victoria Kuerzinger was born in Gundamsried Pfaffenhofen on 15 June 1913. She entered the Congregation as a Postulant at St Immaculata Convent in March 1936 and made her Profession on 5 January 1938. She remained in Germany teaching handcrafts at St Immaculata Convent School. Maria Magdalena Eberhard was born in Einhart Sigmaringen Breisgau on 2 April 1914. She entered the Congregation as a Postulant at St Immaculata Convent in July 1936 and made her Profession on 28 June 1938. In the same year she came to South Africa where she began her training as a nurse. Celine Mopheto Motsuenyane was born in Evaton, Vereeniging, South Africa on 3 July 1928. She entered the Congregation as a Candidate in 1949 and made her Profession on 31 July 1951. Celine attended St Thomas Training College in Village Main where she was trained as a teacher. She taught for a number of years at St Scholastica’s Mission School in Tshitali (Setali) in the Northern Transvaal. Gertrude Primbs was born in Nuernberg, Germany on 29 January 1914. She entered the Congregation as a Postulant at St Immaculata Convent in July 1935 and made her Profession on 28 June 1937. She came to South Africa in the same year and in 1938 began teaching needlework at St Thomas Aquinas Convent School in Witbank. In 1950 she began training as a teacher and subsequently taught in the Schools in Potchefstroom, Graaff-Reinet, Ermelo, Nigel, Belgravia. Walburga Koenig was born in Wimmern Eichham Laufen on 20 February 1920. She entered the Congregation as a Postulant at the Motherhouse in King William’s Town in March 1953 and made her Profession on 9 January 1955. She remained at the Motherhouse teaching Art and Crafts almost until her death. Frances Dina Vuwani was born in Mutuntloni Engeabo Transkei on 21 December 1918. 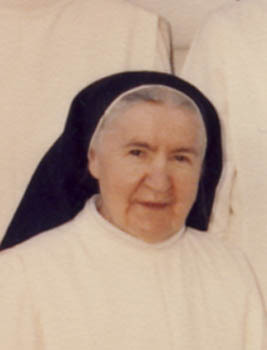 She was received into the Congregation at Maria Hilf Convent in January 1949 and made her profession on 29 January 1950. Olga Schweikart was born in Ob Ueber Kaufbeuren on 4 July 1904. She entered the Congregation as a Candidate at St Immaculata Convent in Schlehdorf in 1925 and made her profession on 29 October 1927. In 1928 she came to the Motherhouse in King William’s Town and worked in various Convents in South Africa for the rest of her life. Johanna Victoria Fritz was born in Nurnberg on 14 July 1914. She entered the Congregation as a Postulant at St Immaculata Convent in Schlehdorf in June 1936 and made her profession on 28 June 1938. In the same year she came to the Motherhouse in King William’s Town where she began her studies for the Teaching Profession. She taught the High School Standards as well as Sport, mostly Tennis at a number of the Convent Schools, but mostly Our Lady of Mercy Convent School in Springs. Therese Trummer was born in Munich on 9 February 1902. She entered the Congregation as a Postulant at St Immaculata Convent in 1930 and made her profession on 28 June 1932. In 1952 she came to South Africa and taught art at the Convent in Klerksdorp, remaining there for many years. Maria Spickenreither was born in Weierhammer, Oberpfalz, Bavaria on 26 October 1905. She entered the Congregation at St Immaculata Convent, Schlehdorf as a Postulant in April 1925 and made her profession on 27 October 1927. She came to the Sacred Heart Convent in East London, South Africa in the same year. Maria Keller was born in Hauenstein b Speyer Rheinland-Pfalz on 10 September 1908. She was received into the Congregation in January 1931 and made her profession on 5 January 1952. She spent her many years of teaching in the Schools in South Africa. Monika Ammann was born in Konradshofen bei Augsburg on 18 January 1908. She entered the Congregation as a Postulant in March 1932 and made her Profession on 5 January 1934. She remained in Germany working in the various Convents. Kunigunde Bauhofer was born in Augsburg on 21 March 1915. She entered the Congregation as a Postulant in August 1931 and made her Profession on 28 June 1934, coming to South Africa in the same year. After her studies in King William’s Town she took up teaching at the Convent School in Graaff-Reinet, followed by Ermelo, Potchefstroom, Nigel and Belgravia. Marie Theresa Guggenberger was born in Oberhummel Bavaria on 11 March 1915. She entered the Congregation as a Postulant in August 1929 and made her Profession on 28 June 1933. In 1934 she began her studies in King William’s Town to become a teacher and began teaching Kindergarten at the Convent School in Potchefstroom in 1938. In 1939 she began teaching at St Vincent’s School for the Deaf in Melrose, where she remained for many years as Boarders’ Mother, teacher and organist. 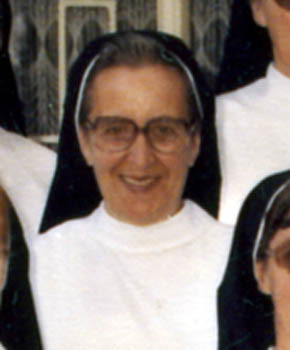 In 1978 she was sent to the Convent in Belgravia as Superior. Amalia Mueller was born in Gottenau Markt Rettenbach Bavaria on 2 June 1909. 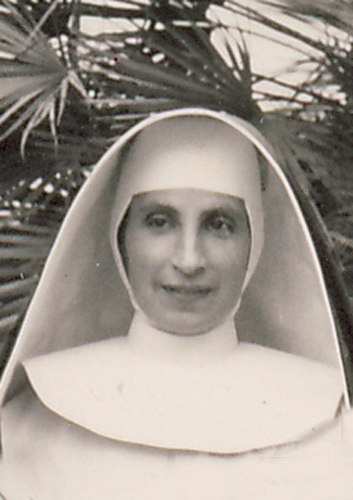 She joined the Congregation as a Posutlant at St Immaculata Convent in Schlehdorf in January 1931 and made her Profession on 5 January 1933, coming to South Africa shortly afterwards where she took up her duties at Holy Rosary Convent in Cradock, but was to spend the greater part of her life at San Salvador Convent in Hyde Park. Franziska Rehm was born in Westerheim Muensingen Wuerttemberg on 24 June 1914. She entered the Congregation as a Postulant in February 1939 and made her Profession on 11 January 1942. In 1951 she came to South Africa and took up her duties at Our Lady of Mercy Convent in Springs. Crescentia Elizabeth Schreiner was born in Nuernberg Franken on 10 November 1914. She entered the Congregation as a Postulant in January 1935 and made her Profession on 5 January 1938. She came to South Africa and began teaching at the Convent of the Sacred Heart in Graaff-Reinet. She taught Commercial subjects at various Convents in the Eastern Cape and the Transvaal. Ursula Pauli was born in Wackenberg, Pfalz, Oberbayern on 6 July 1910. She entered the Congregation as a Postulant at the Motherhouse in February 1933 and made her Profession on 5 January 1935. She taught at the various Convent Schools in the Transvaal. Kreszentia Gerstlauer was born in Edelstetten Konnibach Schwaben on 8 October 1901. She joined the Congregation as a Candidate at St Immaculata Convent in Schlehdorf in 1924 and made her Profession on 27 October 1926. Shortly afterwards she came to South Africa where she began teaching at various Convent Schools, mostly Kindergarten and Grade School. Mathilde Grabher was born in Lustenau, Vorarlberg, Austria on 2 April 1909. She entered the Congregation as a Postulant in October 1929 and made her Profession on 5 January 1932. In 1935 she began caring for the mentally handicapped children at the St Vincent School for the Deaf in Melrose and moved to San Salvador Home when that opened in Hyde Park in 1936. Here she remained, totally dedicated to the needs of the Home and the children, helping wherever help was needed, as Superior, teaching weaving and needlework, cooking and doing household chores, until her retirement in 1990. Agnes Stark was born in Dirgenheim on 22 January 1912. She entered the Congregation as a Postulant in February 1933 and made her Profession on 28 June 1935 coming to South Africa in the same year. She took up her studies at the Motherhouse. She began teaching at St Vincnet School for the Deaf in 1942 and remained there for many years before moving for a few years to San Salvador Home in Hyde Park and St Scholastica’s Mission in Tshitali. Colletta Mfaladi was born in Vleeschfontein, Zeerust on 10 October 1902. One of the first three African Sisters, she entered the Congregation as a Candidate at the Mission of the Immaculate Conception in Zeerust, Norther Transvaal in October 1930 and made her Profession on 3 July 1934. Maria Schott was born in Rammelsbach, Rheinland Pfalz, Bavaria, on 1 April 1911. She entered the Congregation as a Postulant in September 1932 and made her Profession on 5 January 1935. In 1936 she was sent to the Convent School in Potchefstroom where she taught Kindergarten and took care of the Boarders. She then trained as a nurse and began Maternity Nursing at St Catherine’s Nursing Home in Queenstown. Paula Weishaupt was born in Isny Allgaeu on 2 November 1914. She entered the Congregation as a Postulant at St Immaculata Convent in Schlehdorf in December 1938 and made her Profession on 14 January 1941 at Albertushof Convent in Venlo. Here she remained until her return to Germany in the early 1980s. Katharina Singhammer was born in Haag Weildorf Freilassing Bavaria on 25 January 1906. 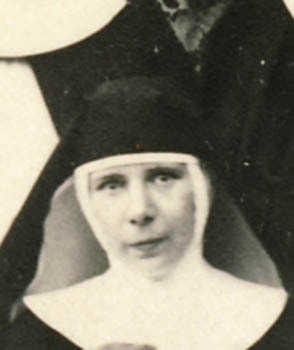 She entered the Congregation as a Candidate at the St Immaculata Convent, Schlehdorf in September 1922 and made her Profession on 27 October 1925. She came to South Africa and taught at the various Convent Schools in the Eastern Cape. Ernestine Donnerbauer was born in Grafenau Bavaria on 5 March 1918. She entered the Congregation as a Postulant at the St Immaculata Convent, Schlehdorf in January 1937 and made her Profession on 28 June 1939. She taught at the various Convent Schools in South Africa, including those at Nigel, Klerksdorp, East London, Ermelo and Belgravia. Katharina Hirschhalmer was born in Wald Wonneberg Oberbayern on 28 April 1904. She entered the Congregation as a Postulant at the St Immaculata Convent in Schlehdorf in November 1927 and made her Profession on 28 June 1930. In 1939, at the outbreak of World War II she was sent to the newly-founded Albertushof Convent in Venlo, Holland where she remained until her return to Germany in the 1980s. Maria Kraller was born in Pirach/Pieting Fridolfing Oberbayern on 26 August 1905. She entered the Congregation as a Postulant in February 1934 and made her Profession on 5 January 1936. She came to South Africa and, until 1965, worked in several Convents in the Eastern Cape, after which she was sent to the Convent in Potchefstroom, then to St Vincent School for the deaf in Melrose. Here she remained for many years. Augustina Phelelo was born in Vleeschfontein Marico Bophuthatswana on 24 June 1928. She was received into the Congregation in June 1952 at the Convent of Our Lady of Fatima in Lilyfontein and made her Profession on 29 June 1953. She completed her secondary education and achieved a Teachers’ Diploma at St Thomas Teacher’s Training College in Village Main. Elizabeth Tshinki was born in Mandgodi Molepolole, Gaborone, Botswanan on 24 April 1915. She entered the Congregation as a Postulant at the Maria Hilf Convent and Noviciate in January 1946 and made her Profession on 17 January 1948. She achieved her Teacher’s Diploma at St Thomas Teacher’s Training College in Village Main and taught at the Mission Schools near King William’s Town, East London and Ramanchane/Seabe. Elizabeth Hackmann was born in Telbrake Vechtaland Oythe, Oldenburg on 2 June 1909. 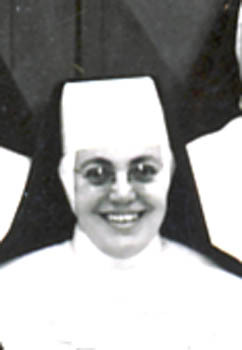 She entered the Dominican Congregation as a Postulant of the Schwichteler Sisters in August 1939 and made her Profession on 3 July 1934. Kreszentia Irg was born in Hochdorf Schoenebuerg Biberach/Riss on 4 February 1917. She was received into the Congregation as a Novice at St Immaculata Convent, Schlehdorf in July 1947 and made her Profession on 30 July 1948. In 1949 she began nursing at St Catherine’s Nursing Home in Queenstown. She subsequently nursed at the Mater Infirmorum, the Umlamli Mission Hospital, Sterkspruit in the Diocese of Aliwal North and Glen Grey Mission Hospital in Lady Frere. Odette Louis-Chadraoui was born in Kimberley, South Africa on 10 March 1909. 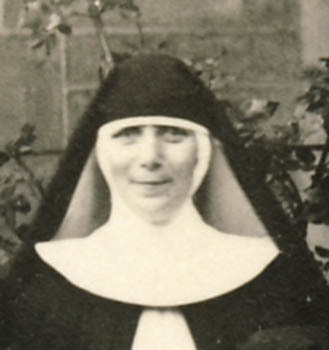 She entered the Congregation as a Postulant at the Motherhouse in January 1929 and made her Profession on 9 July 1931. She taught at various schools in the Eastern Cape until, in 1960, she came to the Transvaal to teach English, Geography and History at the Convent in Belgravia. She remained here until her death. Barbara Ziegeltrum was born in Teixendorf, Kreis Freising on 11 August 1913. She was received into the Congregation in January 1934 and made her Profession on 5 January 1935. 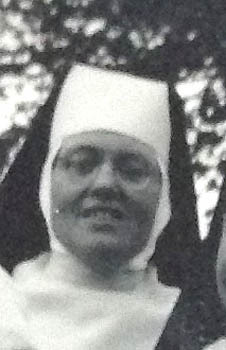 She lived and worked at a number of the Convents, including the Motherhouse, Sacred Heart Convent in East London, St Scholastica’s Mission in Tshitali, St Vincent’s Convent in Melrose, St Catherine’s Nursing Home, St Mary’s Maternity Home in Springs, San Salvador Convent in Hyde Park and St Dominic’s Convent in Stutterheim. Anna Maria Buehler was born in Heflazhofen Leutkirch Wurttemberg on 3 November 1904. She entered the Congregation as a Postulant at St Immaculata Convent in Schlehdorf in February 1928 and made her Profession on 28 June 1930. Erna Philippin was born in Morchingen Lothringen on 22 November 1905. She entered the Congregation as a Postulant at St Immaculata Convent in Schlehdorf in April 1926 and made her Profession on 29 October 1927. 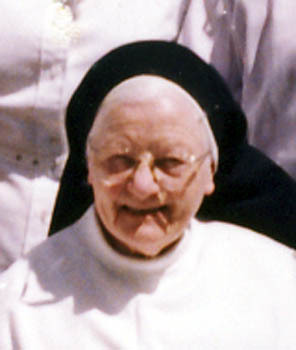 She came to the Motherhouse in South Africa in 1928 where she began her studies to become a teacher. Anna Lang was born in HAltenstadt Oberbayern on 22 September 1903. She entered the Congregation as a Postulant at St Immaculata Convent in Schlehdorf in March 1927 and made her Profession on 30 October 1928. She came to South Africa where she took up her work at the Mater Infirmorum Convent Sanatorium in 1929. Sylvia Maud Larkins was born in Rangate, Transvaal, South Africa on 14 September 1934. 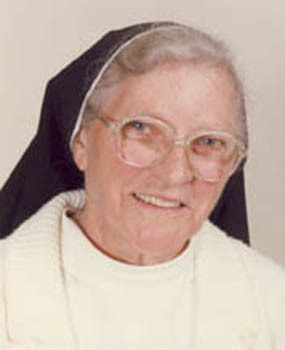 She entered the Congregation as a Postulant at the Motherhouse in March 1954 and made her Profession on 10 February 1956. In 1957 she began teaching at Sacred Heart Convent, then St Pius Convent School in East London. Anna Ritt was born in Gheiding Niederviehbach Bavaria on 29 November 1913. She entered the Congregation as a Postulant at St Immaculata Convent in Schlehdorf in August 1930 and made her Profession on 28 June 1933. In 1934 she came to the Motherhouse in South Africa where she began studying. Hilda Lampka was born in Zaborze-Poremba, Hindenburg, Prussia on 19 April 1895. She joined the Congregation as a Candidate at St Immaculata Convent in Schlehdorf in 1920 and made her Profession on 2 April 1922. In October 1921 she came to South Africa, where she remained teaching music at the various Convent Schools of the Congregation. Walburga Fink was born in Unterbuchfeld Oberpfalz on 22 December 1908. She joined the Congregation as a Candidate at St Immaculata Convent in Schlehdorf in 1927 and made her Profession on 6 August 1929. In the same year she came to South Africa to work in the various Convents of the Eastern Cape with a few years in the early 1950s at St Hyacinth’s Convent in Nigel. Katharina Kellermann was born in Grassersdorf Toetz Oberpfalz on 13 September 1902. She joined the Congregation as a Candidate at St Immaculata Convent in Schlehdorf in March 1923 and made her Profession on 25 October 1925. 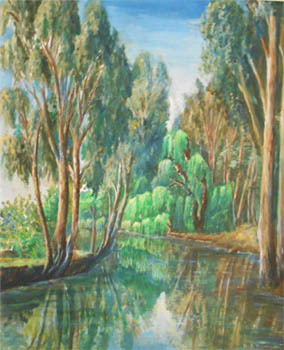 In 1929 she began her work in South Africa at the Convent in Potchefstroom. She spent some years at the Convent of Our Lady of Mercy in Springs, followed by many years at St Vincent Convent and School for the Deaf in Melrose, Johannesburg. After a few years in Belgravia and Potgietersrus she was sent to the Eastern Cape Convent of Our Lady of the Rosary in Izeli where she tended the gardens. Laura Kemper was born in Hauenstein Rheinpfalz 6 April 1907. She joined the Congregation as a Candidate at St Immaculata Convent in Schlehdorf in 1927 and made her Profession on 6 August 1929. She came to South Africa where, in 1939, she worked at Our Lady of the Rosary Convent in Izeli, followed by a few years in Potchefstroom and then a return to Izeli. 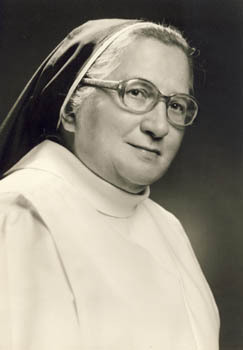 From September 1981 until 1994 she lived and worked at the Motherhouse. Rosa Schwab was born in Gotzig, Vorarlberg, Austria on 26 December 1900. She joined the Congregation as a Candidate in September 1921 and made her Profession on 11 November 1924. In South Africa she taught music at the Convent Schools in Fort Beaufort, Graaff-Reinet, Ermelo, East London and Stutterheim. Maria Karpf was born in Heinrichshofen, Oberbayern, Bavaria 21 November 1911. She was received into the Congregation as a Novice in June 1934 and made her Profession on 28 June 1934. 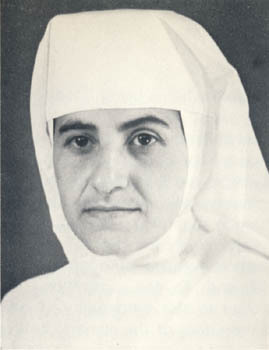 In South Africa, at the Motherhouse she studied from 1935-1937 and began teaching in East London. She taught in the various Convent Schools in the Transvaal before her retirement in Stutterheim in 1989. Leona Theresa Umlauf was born in Belgrade Yugoslavia on 23 July 1905. She entered the Congregation as a Candidate at St Immaculata Convent, Schlehdorf in May 1924 and made her Profession on 27 October 1926. She came to South Africa and in 1929 began her studies at the Training College at in King William’s Town. Mabel Davidson was born in Port Elizabeth in South Africa on 13 December 1907. She entered the Congregation as a Postulant at the Motherhouse in October 1929 and made her Profession on 9 July 1931. 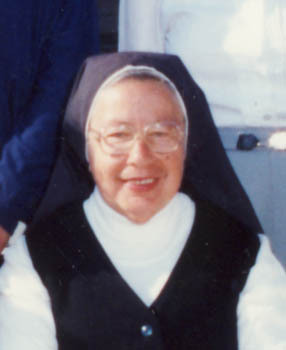 Her studies completed, Sr Vincent began teaching at St Vincent School for the Deaf in 1936. Here she remained until her retirement 45 years later. Francisca Nibler was born in Pilsach, Germany on 30 December 1909. She entered the Congregation as a Postulant in April 1933 and made her Profession on 29 June 1939. For many years she worked at Albertushof Convent in Venlo until, in 1964, she was sent to the Convent in Matibi, Rhodesia. Towards the end of her life she returned to St Immaculata Convent in Schlehdorf in Germany. Clara Johanna Bertschmann was born in Basel, Switzerland on 13 March 1900. She entered the Congregation as a Candidate at St Immaculata Convent, Schlehdorf in April 1922 and made her Profession on 27 October 1925. At the Motherhouse in 1926 she studied commercial subjects and began teaching at various Missions, including St Francis Xavier Convent School in East London. Between 1947 and 1962 whe worked at the Convent in Ireland, returned to South Africa to work at St Martin de Porres Mission Marapyane. Anna Monika Bierbaum was born in Gebhardshain Westerwald on 5 August 1915. As one of the Schwichteler Sisters she jointed the ‘King’ Congregation in 1949 at St Immaculata Convent in Schlehdorf, having entered the Schwichteler Congregation as a Postulant in February 1937 and making her Profession on 1 November 1940. She worked in South Africa, Latin America and eventually in Germany. Anna Maria Wellein was born in Buch Erlangen on 5 March 1905. She entered the Congregation as a Postulant at St Immaculata Convent, Schlehdorf in November 1927 and made her Profession on 27 June 1929. Therese Auer was born in Simbach am Inn on 30 January 1913. 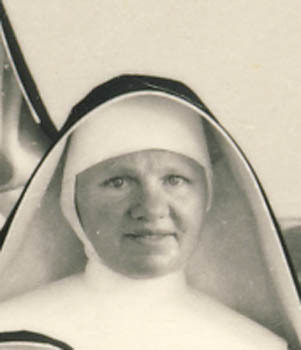 She was received into the Congregation at the St Immaculata Convent, Schlehdorf in January 1936 and made her Profession on 5 January 1937, arriving in South Africa in the same year to continue her studies. in 1939 she began teaching at the Convent School in Belgravia, followed by five years in Potchefstroom. 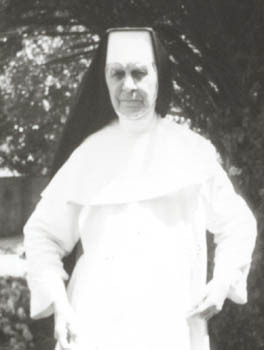 In 1946 she returned to the Motherhouse where she remained for many years, teaching at the Mission Schools. Petronella Verdonk was born in ‘sHeer Arendskerke Nederland on 14 May 1926. 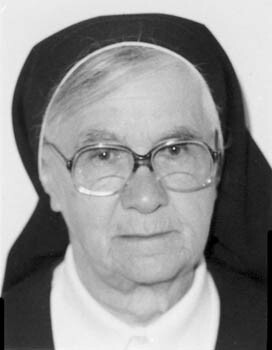 She entered the Congregation as a Candidate at Albertushof Convent, Venlo in July 1946 and made her Profession on 16 January 1949. In 1950 she began teaching at the Convent in Springs, South Africa followed by St Joseph’s Convent School in Potgietersrus, St Thomas Aquinas, Witbank, St Hyacinth’s, Nigel, Convent of Our Lady of the Rosary, Izeli and the Convent in Belgravia. Justina Ramsl was born in Frenau Schleefeld Bavaria on 20 June 1900. She entered the Congregation as a Candidate at the St Immaculata Convent, Schlehdorf in 1927 and made her Profession on 6 August 1929. She came to South Africa and in 1930 was sent to the Convent in Klerksdorp, then Fort Beaufort, East London and the Mater Infirmorum, King William’s Town. Rosina Schnellinger was born in Emmering Laufen Bavaria on 21 December 1903. She entered the Congregation as a Candidate at the St Immaculata Convent, Schlehdorf in 1927 and made her Profession on 6 August 1929. In South Africa she worked at Umlamli Mission Hospital, Sterkspruit in the Diocese of Aliwal North, the Convent of Our Lady of the Rosary, Izeli and Holy Rosary Convent in Cradock. Luzia Knöpfle was born in Ziemetshausen Thannhausen Bavaria on 20 April 1904. She entered the Congregation as a Candidate at St Immaculata Convent, Schlehdorf in April 1923 and made her Profession on 30 July 1925. 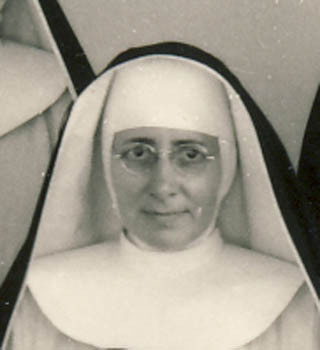 Sr Thomasia arrived at the Motherhouse on 28 October 1925 and began her studies at the Teachers’ Training College. She taught for a few years at the Convent School in Ermelo and then for many years at St Vincent School for the Deaf in Melrose, Johannesburg. Later in life she taught at the Missions in Woodlands and Marapyane. Rosina Auer was born in St Zeno, Reichenhall on 18 May 1898. She entered the Congregation as a Candidate at St Immaculata Convent, Schlehdorf in September 1924 and made her Profession on 29 October 1927. In South Africa she worked for many years at the Convent of Our Lady of the Rosary in Izeli, until the 1980s when she was sent to the Mater Infirmorum Convent Sanatorium. Maria Antonia Lerotholi/Letsie was born in Lesotho, Southern Africa on 18 September 1914. 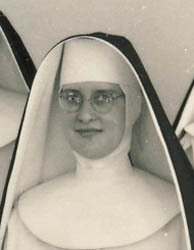 She entered the Congregation as a Candidate in 1935 and made her Profession on 1 October 1939. Anni Maria Hörberg was born in Landholz Legau im Allgau on 21 October 1938. She entered the Congregation as a Postulant at St Immaculata Convent, Schlehdorf in November 1961 and made her Profession on 31 July 1963. In 1964 Sr Anne came to South Africa to continue her studies at Fort Beaufort. She taught at the Convent Schools in Witbank, Brakpan and Springs. Paula Gfroereis was born in Sulzau bierlingen Wuerttemberg on 25 August 1901. She joined the Congregation as a Candidate at St Immaculata Convent, Schlehdorf in 1922 and made her Profession on 27 October 1925. In 1926 she continued her studies at the Motherhouse after which she began teaching at Our Lady of the Rosary Convent School at Izeli. Anna Maria Sloots was born in Mierlo, Holland on 26 February 1927. She entered the Congregation as a Postulant at Albertushof Convent in 1946 and made her Profession on 11 May 1948 taking up her work at the Motherhouse in South Africa in the same year. Johanna Kugelmann was born in Fortshofen bei Schwabmunchen on 9 October 1897. She entered the Congregation as a Postulant in March 1921 and made her Profession on 11 November 1924. She worked at a number of the Missions in the Eastern Cape, serving for a number of years as Novice Mistress to the Black Sisters of the Congregation. She returned to St Immaculata Convent in the 1980s. Rosa Amalie Oehler was born in Sulgen, Wurtemberg on 23 February 1911. She entered the Congregation as a Postulant at St Immaculata Convent in Schlehdorf in April 1933 and made her Profession on 5 January 1936 coming to the Motherhouse in South Africa in the same year. Shortly after she took up her first assigment at St Hyacinth’s Convent in Nigel, followed by Ermelo and St Vincent School for the Deaf where she remained for many years caring for the Boarders. Theresa Albrecht was born in Reutern Obergriesbach on 20 January 1898. She entered the Congregation as a Postulant in March 1922 and made her Profession in South Africa on 11 July 1925. She taught at the Missions in Queenstown, Indwe, Umlamli. 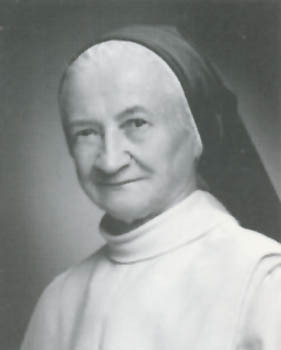 In the 1940s she was Mistress of Novices at the Motherhouse and Prioress from 1956 while teaching at the same time. Ottilia Fuchs was born in Stadldorf Kirchroth Oberpfalz on 30 August 1907. She entered the Congregation as a Candidate at St Immaculata Convent, Schlehdorf in 1925 and made her Profession on 29 October 1927. 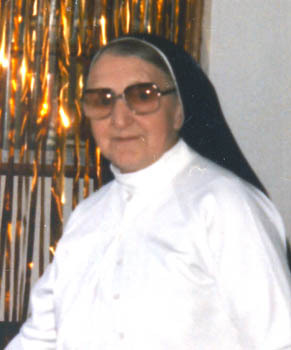 In 1928, after her arrival in South Africa she was assigned to the Motherhouse and then to the Convent in Izeli where she was to spend many years..
Theresa Kley was born in Durrenstetter Buensingen Wuertemberg on 5 October 1907. 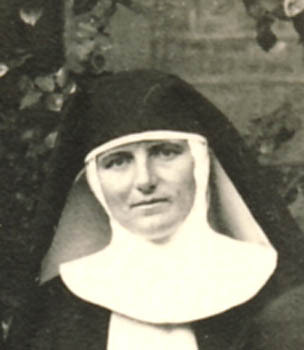 She entered the Congregation as a Candidate at St Immaculata Convent, Schlehdorf in 1927 and made her Profession on 6 August 1929 and took up her work at the Motherhouse in South Africa in the same year. Erna Broedel was born in Rodalben Rheinpfalz on 23 March 1908. She entered the Congregation as a Postulant in August 1932 and made her Profession on 28 June 1935. She taught music at the Convents in Belgravia, Ermelo, Fort Beaufort, Stutterheim, Queenstown and the Motherhouse. Hildegard Hermanns was born in Berlin on 29 March 1906. She entered the Congregation as a Postulant in July 1935 and made her Profession on 28 June 1937. She taught music at the Convent Schools in Belgravia, Klerksdorp, Potchefstroom, St Pius Convent, East London, Witbank, Nigel, Brakpan and Stutterheim. Barbara Rauch was born in Walleshausen near Augsburg on 27 March 1911. She was received into the Congregation at St Immaculata Convent, Schlehdorf on 4 January 1937 and made her Profession on 5 January 1938. In 1938 she took up her assignment at the Convent in East London, and worked subsequently in Graaff-Reinet and Stutterheim, retiring finally in Queenstown. Walburga Eder was born in Darling Laufen Oberbayern on 6 February 1918. She entered the Congregation as a Postulant January 1939 at St Immaculata Convent, Schlehdorf and made her profession on 11 January 1942. In South Africa, from 1949 – 1959 she taught at the Convent School in Belgravia and then in Klerksdorp and Ermelo. 1970 saw her back in Ermelo and from 1976 she took up her post at St Thomas Aquinas Convent School in Witbank and then, from 1986 she worked at San Salvador Home. Gertrude Herbert was born in Berlin on 13 March 1916. She entered the Congregation as a Postulant in June 1935 at St Immaculata Convent, Schlehdorf and made her profession on 28 June 1937 coming to the Motherhouse in South Africa in the same year to take up her studies. She taught high school classes in the Convent Schools in Queenstown, King William’s Town and East London, Fort Beaufort, Welkom, Springs. Elected Prioress General in 1975 she took up residence at Lourdes Convent in Park Town. Eleonore Maria Schneider was born in Rastatt Baden on 22 November June 1930. She entered the Congregation as a Postulant at St Immaculata Convent, Schlehdorf in September 1953 and made her Profession on 31 July 1955. She remained in the Convent in Schlehdorf until her death. Natalie Hamilton-Brown was born in Johannesburg, South Africa on 14 February 1908. 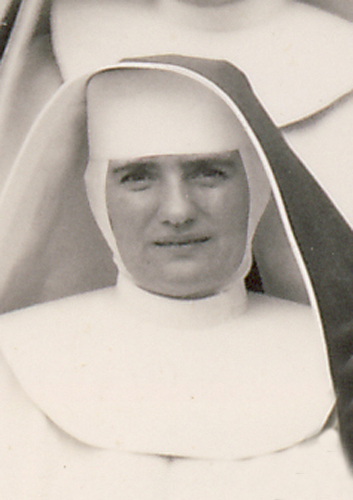 She joined the Congregation as a Candidate at the Motherhouse in April 1926 and made her Profession on 29 April 1928. She taught music at the Convents in Ermelo, Potchefstroom and Springs. Paulina Miller was born in Niederhofen Schwaben Bavaria on 16 December 1912. She entered the Congregation as a Postulant in February 1934 at St Immaculata Convent in Schlehdorf and made her Profession on 5 January 1936. She remained in Schlehdorf till her death. Hanna Chami was born in Hendrina Transvaal on 3 October 1926. She was received into the Congregation on 3 January 1946 and made her Profession on 5 January 1947. As a nurse she worked at St Catherine’s Nursing Home in Queenstown, the Umlamli Mission Hospital, Sterkspruit in the Diocese of Aliwal North, St Mary’s Maternity Home in Springs. San Salvador Home in Hyde Park and Venid y Ved Forestal, Bolivia. Agatha Schmid was born in Wiggensbach Kempten Bavaria on 16 April 1903. She entered the Congregation as a Candidate at St Immaculata Convent, Schlehdorf in October 1925 and made her Profession on 29 April 1928. In July of the same year she arrived at the Motherhouse and was assigned to work at the Convent in Klerksdorp. Until 1960 she worked at the Convents in both Klerksdorp and Potchefstroom. In 1961 she was assiged to the Convent of Our Lady of the Rosary in Izeli and remained there for twenty years after which she worked in the gardens of St Dominic’s Convent in Stutterheim. Mathilda Motz was born in Herlazhofen Leutkirch on 11 July 1903. 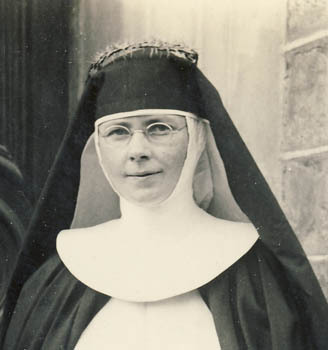 She entered the Congregation as a Postulant in August 1929 and made her Profession on 5 January 1932 and was assigned to the Convents in Belgravia in the same year. In 1934 she was sent to St Vincent School for the Deaf in Melrose where she remained till 1951. She then worked at the Convents of Our Lady of the Rosary in Izeli, Our Lady of Mercy in Springs and St Pius in East London. Maria Kleidorfer was born in Hirschbach bei Freising, Post Kirchdorf on 11 February 1909. She entered the Congregation as a Postulant in February 1932 and made her Profession on 5 January 1934. On her arrived in South Africa in the same year she was assigned to the Convent in East London. In 1937 she was assiged to the Convent in Potchefstroom and in 1952 to the Convent of Our Lady of Mercy in Springs. In 1960 she again returned to the South Western Transvaal, this time to Potchefstroom and retired in 1989 at the Mater Infirmorum Convent in King William’s Town Area. Anna Rosa Schmitt was born in Scheidt Saarbruecken on 1 April 1909. She entered the Congregation as a Postulant in August 1929 and made her Profession on 2 January 1932. After her arrival in South Africa she worked at the Convents in Klerksdorp, Melrose, Hyde Park, Potgietersrus, Ermelo and Witbank. Margarethe Weckel was born in Berg bei Erasburg, Wolfratshausen on 17 July 1906. She entered the Congregation as a Candidate at St Immaculata Convent, Schlehdorf in 1924 and made her Profession on 28 April 1927. She arrived in South Africa in the same year and taught music in many of the Convent Schools, including Sacred Heart Convent, East London, Convent of Our Lady of Mercy, Springs and the Convents in Potchefstroom, Ermelo and Queenstown. Anita Weisser was born in Lienberg Post Eichhalden, Kreis Rottweil on 10 August 1915. She entered the Congregation as a Postulant at St Immaculata Convent, Schlehdorf in March 1954 and made her Profession on 5 January 1956. She lived and worked in the Convents in Germany to the end of her life. Genovefa Oelberger was born in Senden Iller Schwaben on 14 April 1900. She entered the Congregation as a Postulant at St Immaculata Convent in Schlehdorf in April 1926 and made her Profession on 30 October 1928. After her arrival in South Africa she worked first at the Motherhouse and then at the Convents in Springs and Belgravia. Among her talents were carpentry and sewing. Mary Creggy was born in Malahide Co Dublin on 17 May 1922. 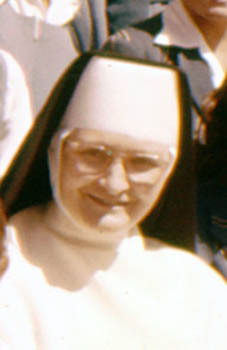 She entered the Congregation as a Postulant in March 1975 and made her Profession on 21 December 1978. Katharina Bichlmair was born in Lenggries Oberbayern on 23 April 1920. She entered the Congregation as a Postulant in October 1940 and made her Profession on 12 January 1943, remaining and working in Germany. Agnes Farry was born in Boksburg South Africa on 11 April 1913. 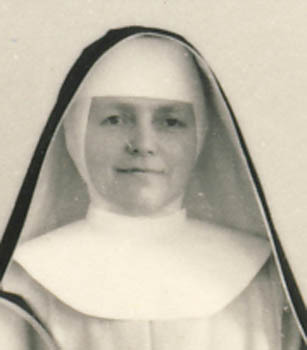 She entered the Congregation as a Postulant at the Motherhouse in September 1941 and made her Profession on 14 July 1943. She spent many years at St Joseph’s Convent in Potgietersrus followed by several years at each of the Convents in Witbank, Klerksdorp, East London and Brakpan. Katharina Bernlochner was born in Thanning Oberbayern on 18 August 1912. 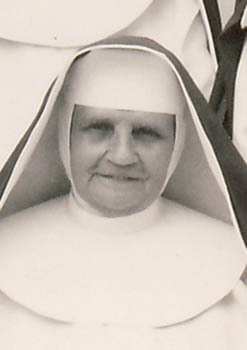 She was received into the Congregation at the Motherhouse in June 1938 and made her Profession on 2 July 1939. Following a number of years at the Motherhouse she worked also at the Convents in Ermelo, Springs and Stutterheim. Hanne Luise Wingler was born in Hamm Westphalia on 23 April 1929. She entered the Congregation as a Postulant in October 1949 and made her Profession on 31 July 1952. Following a few years in the Convents in Nigel and East London and studies at Rhodes University she was assigned to St Vincent School for the Deaf in Melrose, Johannesburg where she spent many years teaching, studying and caring for the Boarders and a number of years as Superior. Benigna Maria Jordan was born in Mbokotwana, Tsolo Transkei SA on 9 August 1909. She entered the Congregation as a Postulant in December 1962 and made her Profession on 4 Jul 1964. Rosa Spangler was born in Pittmansdorf Hohenschambach on 12 May 1907. She entered the Congregation as a Postulant at St Immaculata Convent in Schlehdorf in February 1929 and made her Profession on 28 June 1931. In South Africa she worked in the Convents in Izeli, Queenstown, East London, Cradock and Ermelo. Margareta Schaeffeler was born in Herlazhofen Leutkirch Wurttemberg Bavaria on 26 August 1910. She entered the Congregation as a Postulant in June 1933 and made her Profession on 28 June 1931. In South Africa she worked in the Convents in Izeli, Queenstown, East London, Cradock and Ermelo. Theresa Baeurle was born in Attenhofen on 21 October 1902. She joined the Congregation as a Candidate at St Immaculata Convent in Schlehdorf in April 1926 and made her Profession on 30 October 1938. In South Africa she worked in many of the Convents, including those in Potchefstroom, Klerksdorp, Witbank, Belgravia, Hyde Park, Springs, Stutterheim. 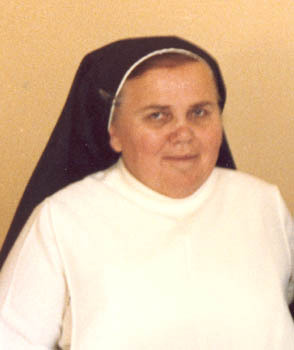 Sr Dionisia was born in Camiri on 8 April 1957. She entered the Congregation as a Candidate in 1987 and made her Profession on 2 February 1989. Rosa Gruenaeugl was born in Engelsberg Southern Bavaria on 19 May 1902. She joined the Congregation as a Candidate at St Immaculata Convent in Schlehdorf in April 1926 and made her Profession on 30 October 1938. She lived and worked at St Immaculata Convent in Schlehdorf, St Albert’s and St Martin’s Convents in England and Rosary Cottage in Ireland. Rita Maria Lenz was born in Wil St Gallen, Switzerland on 11 June 1930. She entered the Congregation as a Postulant at St Albert’s Convent in Hinckley in January 1955 and made her Profession on 6 August 1956. 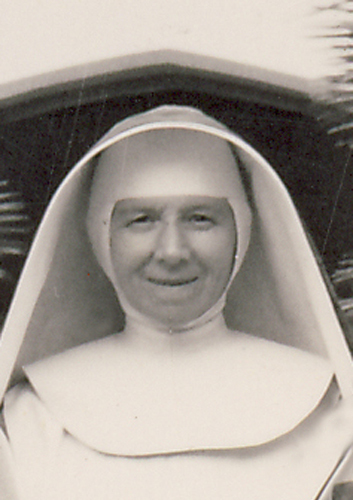 In 1957 she came to the Motherhouse in South Africa , where she began her nursing studies. She was Matron and Lecturer at Umlamli Mission Hospital, Sterkspruit in the Diocese of Aliwal North, Matron at the Dominikushaus Convent and Altesheim in Riehen and Matron at Bethany Convent in Brakpan. Anna Kell was born in Gaissach bei Toelz Bavaria on 29 January 1900. She joined the Congregation as a Candidate at St Immaculata Convent in Schlehdorf in October 1927 and made her Profession on 6 August 1929. In South Africa she was assigned to several Convent including St Dominic’s Mission, Indwe in the Queenstwon area, the Convent of Our Lady of the Rosary, Izeli and the Mater Infirmorum Convent, where she worked for over twenty years. Brigid Quinn was born in Roscommon Ballymore, Galway, Ireland on 10 October 1903. 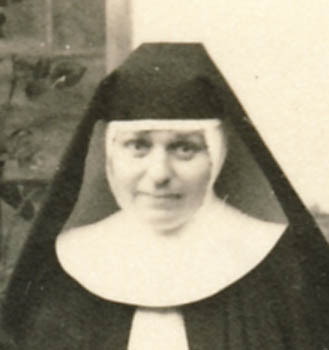 She entered the Congregation as a Postulant at the Motherhouse in March 1921 and made her Profession on 24 April 1922. Assigned to the Convent in Potchefstroom she taught music there for many years. She subsequently taught at the Convent Schools in Queenstown, Nigel, Brakpan, Graaff-Reinet and Springs. Magdalena Litzel was born in Fleinhausen on 16 June 1903. She entered the Congregation as a Postulant at St Immaculata Convent in Schlehdorf in October 1925 and made her Profession on 30 October 1928. 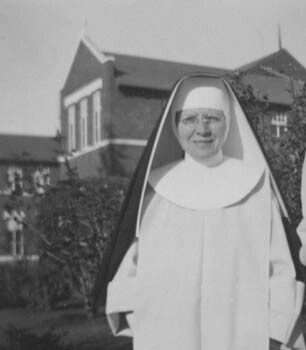 In 1929 at the Motherhouse she set out to complete her schooling and take up studies at the Teachers’ Training College. In 1934 she began teaching at St Vincent School for the Deaf in Melrose, Johannesburg, ending her stay there as Prioress. 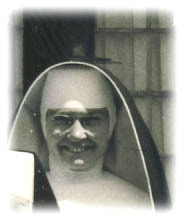 In 1962 she was recalled to the Motherhouse as Prioress. In 1968 she was assigned Superior of the Convent at Umlamli Mission Hospital, Sterkspruit in the Diocese of Aliwal North. 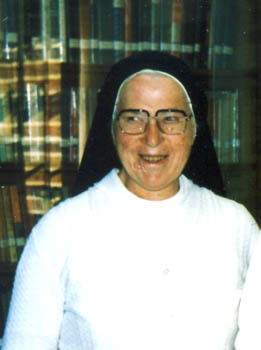 After two to three years at St Francis Xavier Noviciate in East London she again returned to the Motherhouse in 1980. Margaretha Berger was born in Basel, Switzerland on 3 August 1939. She entered the Congregation as a Postulant at St Immaculata Convent in January 1930 and made her Profession on 5 January 1933. In South Africa she completed her studies and began teaching. She taught at a number of the Convent Schools including, St Pius in East London, The Convent Schools in Potchefstroom and Klerksdorp, St Hyacinth’s in Nigel, Bl Imelda’s in Nigel and St Scholastica’s Mission in Tshitali. Ursula Mueller was born in Annaheim Neustaedtel Niederschlesien on 8 March 1933. She entered the Congregation as a Postulant at St Immaculata Convent in Schlehdorf in March 1954 and made her Profession on 5 January 1956. In 1957, at the Motherhouse she studied and began teaching, being assigned for a short while to St Francis Xavier Noviciate in East London before taking up her assignment at the Convent of the Sacred Heart in Fort Victoria, Rhodesia. Here she remained teaching until her assignment as Principal at St Scholastica’s in Tshitali where she finally fell ill.
Maria Elizabeth Woelfle was born in Basel Stadt on 1 August 1904. She entered the Congregation as a Candidate in February 1929 and made her Profession on 5 January 1932. For a few years she studied at the Motherhouse and then began teaching at Bl Imelda’s Convent School in Brakpan. After teaching in Potchefstroom for some years she was assigned to St Martin’s Convent in Stoke Golding, England. On her return to South Africa in 1965 she taught at the Convent School in Ermelo and then moved to the Convent of Our Lady of Mercy in Springs where she retired from teaching. Anna Schelle was born in Peitinghausen Oberbayern Bavaria on 17 February 1898. She entered the Congregation as a Candidate at St Immaculata Convent in Schlehdorf in April 1920 and made her Profession on 5 November 1922. In April 1921 she arrived at the Motherhouse from Germany. Here she remained until 1947. This was followed by assignments at St Pius Convent and Sacred Heart Convent in East London and Lourdes Convent where she tended the gardens until her retirement at St Mary’s Convent. Margaret McLeod was born in Black Reef, Transvaal, South Africa on 28 December 1895. She entered the Congregation as a Postulant in January 1919 and made her Profession on 29 March 1921. She worked at the Convent in Potchefstroom, St Theresa’s Mission in Queenstown, St Dominic’s Convent in Stutterheim, St Francis Xavier Mission in Evaton, St Maurus Mission M’Phahlele, and the Convents at Springs, Rustenburg, the Motherhouse and Belgravia. Katharina Wurmseher was born in Kerschhof Pfaffenhofen on 20 May 1905. She entered the Congregation as a Postulant at St Immaculata in Schlehdorf in February 1931 and made her Profession on 5 January 1933. She worked at several Convents in South Africa, among them the Convents in Potchefstroom, Lumku, Queenstown, Eldorado Park, Welkom and finally retiring in Stutterheim. Emma Spaeth was born in Ennetach on 10 March 1903. She entered the Dominican Congregation at Schwichteler as a Postulant in September 1919 and made her Profession on 6 September 1921. 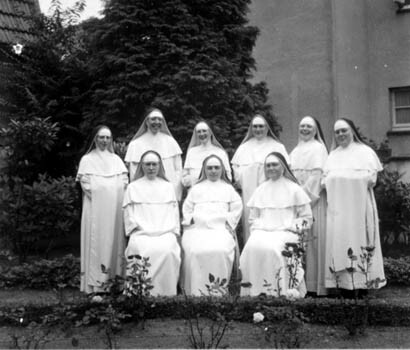 In 1949, together with a number of Schwichteler Sisters she joined the ‘King’ Dominicans at St Immaculata Convent in Schlehdorf. Edelheid Menzel was born in Neu-wilmsdorf, Tschechoslowakia on 19 January 1931. She entered the Congregation as a Postulant at St Immaculata Convent in Schlehdorf in April 1955 and made her Profession on 5 January 1957. In 1959 she was assigned to the Convent in Fort Victoria, Rhodesia and in 1985 to St John’s Convent in Middelberg CP. Veronica Byrne was born in Carrackmacross County Monaghan Ireland on 6 November 1927. She entered the Congregation as a Postulant in November 1945 and made her Profession on 8 September 1947. She left St Albert’s Convent, Hinckley to come to the Motherhouse in South Africa where she began teaching. She also taught at the Convent School in Belgravia and the Convent of Our Lady of Mercy in Springs. Agathe Krug was born in Willerazhofen Allgaeu on 20 February 1907. She entered the Congregation as a Postulant at St Immaculata Convent, Schlehdorf in August 1930 and made her Profession on 5 January 1934. She worked in dentistry and nursing in Schlehdorf. Franziska Dirmeier was born in Raffach on 21 October 1906. She joined the Congregation as a Candidate at St Immaculata Convent in Schlehdorf in 1926 and made her Profession on 30 October 1928. In South Africa she worked for many years at Holy Rosary Convent in Cradock and at the Motherhouse. Rosalie Schuster was born in Bamberg on 24 June 1911. 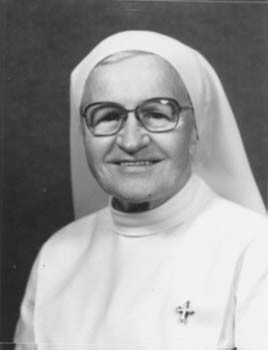 She joined the Congregation as a CAndidate at St Immaculata Convent, Schlehdorf in 1952 and made her Profession on 3 February 1954. She worked in Germany as a nursing sister. Rosa Seitz was born in Munich on 11 July 1901. She joined the Congregation as a Candidate at St Immaculata Convent, Schlehdorf in 1925 and made her Profession on 30 October 1928. In South Africa she completed her schooling and took up her studies at the Teachers’ Training College. She taught high school classes in the Convent Schools in Springs and Ermelo. From 1949 to 1956 she taught at Maria Hilf Noviciate, and then at the schools in Izeli and East London. Maria Maier was born in Hechingen Hohenzollern Wuerttemberg on 1 March 1911. She was received into the Congregation at St Immaculata Convent, Schlehdorf on 4 January 1932 and made her Profession on 5 January 1933. In South Africa she taught in the Convent Schools in Nigel, East London, Springs and Potgietersrus before returning to Germany as Novice Mistress at St Immaculata Convent. Katharina Nisslbeck was born in Pilsach Neumarkt Ober Pfalz on 18 November 1906. She joined the Congregation as a Candidate at St Immaculata Convent in Schlehdorf in 1925 and made her Profession on 28 April 1928. In South Africa at the Motherhouse she had charge of the boarders. She worked at St Scholastica’s Mission in Tshitali and later at St Hyacinth’s Convent in Nigel.